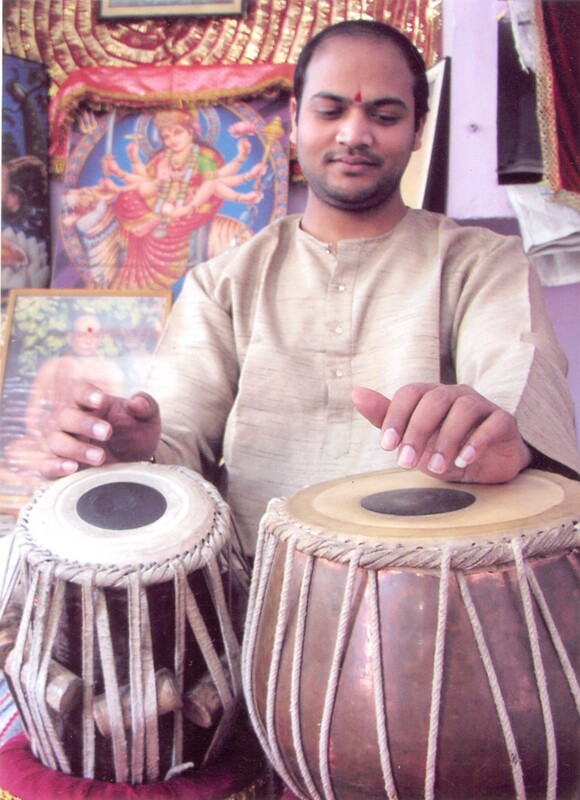 It was 2002 when I first heard the sound of the tabla consciously, that music touched a very deep part of myself making that from that moment I undertake the road to meet with the instrument and all around it, that was how I met my first teacher Uttam Das on the holy city of Rishikesh with whom I met bases of the instrument, classical music and philosophy of India. With my first tabla guru, Uttam Das, RIP. 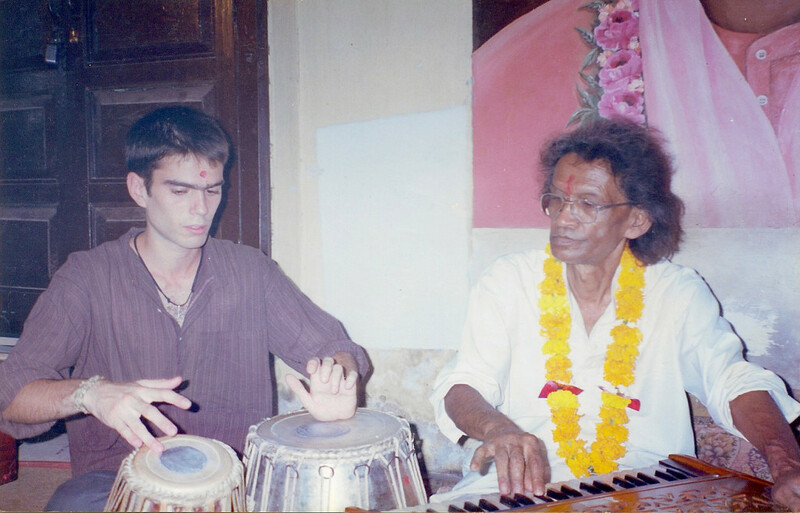 Long stays at Rishikesh, walks along the Ganges, practices of yoga in Shivanda Ashram and hours of classes and practice on the tabla with Uttam Das and his son Pankaj Suhash helped me to grow as a person and as an artist. In September 2010 I began my studies in “Tradizioni musicali extraeuropee ad indirizzo indologico” at Arrigo Pedrollo Conservatory of Vicenza where I graduated in 2014. In those years more to deepen the study of the instrument I could expand my knowledge about music and culture of India by studying languages (Sanskrit and Hindi), history and music theory of India, oriental arts, ethnomusicology and other related subjects. 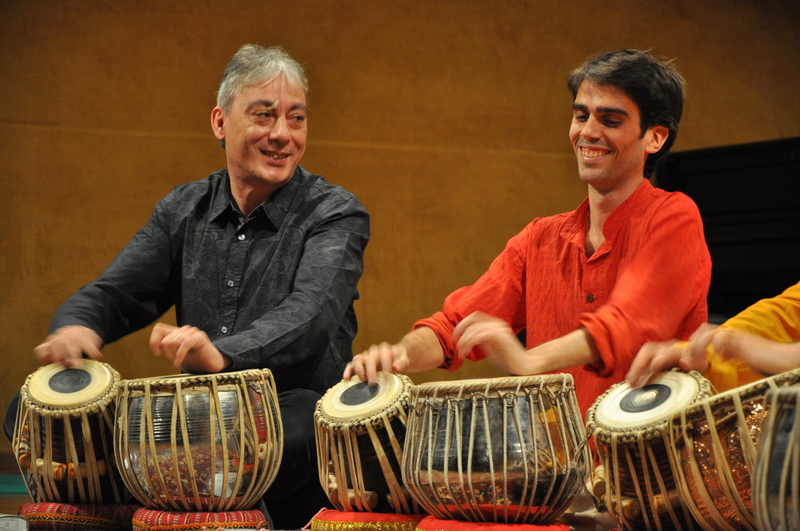 My tutor and tabla teacher during this period was the tabla player Federico Sanesi. 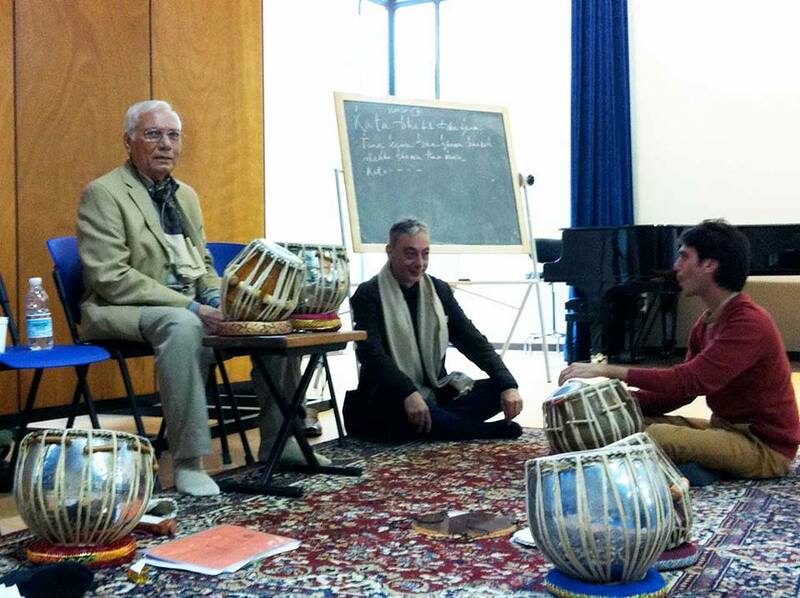 During the time I was studying at the conservatory I was lucky enough to meet one of the living legends of the Indian tabla, maestro Pandit Sankah Chatterjee with whom I have the privilege to continue my studies.